First Choice Painting Services is a locally, family owned full service Painting Contractor and Remodeling company that has been serving the Greater Houston TX area since 1995! With more than two decades of experience in the painting and remodeling industry, First Choice Painting Services is the right choice for all of your painting and home remodeling needs. 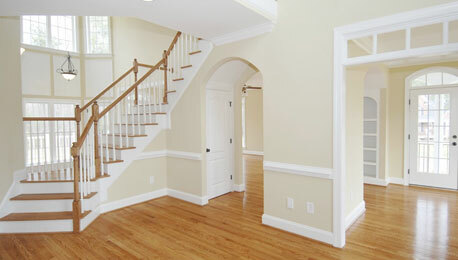 We specialize in painting and offer both Residential and Commercial and Interior and Exterior painting. We are dedicated to bringing you the latest modern techniques and painting services. While we specialize in Commercial and Residential Painting, we also offer many other Remodeling projects such as Bathroom and Kitchen Remodels, Cabinet Refinishing, Siding Replacement, Carpentry, Tile, Laminate Flooring, Pressure Washing and even minor Electrical and Plumbing work too. Our mission is to help people improve their lives by improving their homes and businesses. We can handle your entire Kitchen and Bathroom remodels from the initial design consultation to drywall repairs, custom painting, cabinet staining and flooring. Contact us to make your dream kitchen a reality or your master bathroom your own private sanctuary! Whether you would like to add a new living area or just need a small update, we’d love to help you improve your living and working spaces. We have the experience, talent and passion to make it happen. Give us a call on (713) 321-2662 to discuss your next project! We have an experienced team ready to listen to your needs and offer choices that will deliver quality no matter your budget. We value you as a potential client and will listen to your ideas and needs before, during and after your remodeling project. This is the first of many reasons why we have clients for life! Please click here to see a video and photos of some of our past work.